Have you tried chia seeds yet? 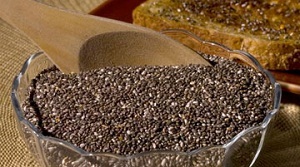 Though chia seeds are fairly new to the nutritional scene, chia seeds are not a new food. The Aztecs and Mayans have used these little guys as a staple food source for hundreds of years. In fact, Aztec and Mayan warriors raved that they could sustain themselves for consecutive days of travel with only a pouch of chia seeds and a container of water. Lucky for us, this traditional food wisdom has trickled over to this stretch of the Mexican Pacific. Please allow me to introduce you to chia seeds! Chia seeds pack a powerful nutritional punch that is a treat to your body in many ways. They are naturally high in vitamins, minerals, nutrients, healthy fats and proteins, offering a nutritional satisfaction to your body that is truly impressive. These seeds are also very rich in vitamin C, calcium and antioxidants. Those of you looking for increased energy and weight loss will be particularly happy to hear that chia seeds suppress your appetite and increase your energy, allowing you to shed excess pounds easily and without hunger. Why? 1) They absorb liquid. This makes them bulk up and you feel as though you have eaten more than you really have. 2) They digest slowly. This means you will feel fuller and more satisfied for longer. By eating less your body can also devote less energy to digestion and more energy to enjoying life! 3) They are high in nutrition. The seeds nourish your body with a spectrum of nutrients, which keeps you satisfied. When you have your nutritional basis covered your body will feel balanced and be much less likely to crave everything in sight! Chia seeds can help you say goodbye crazy to food cravings. Research has shown that when eaten on a regular basis, these chia seeds can also increase your metabolism and help you burn fat faster. Sounds pretty good right? These tiny seeds are a true superfood. Ready to give them a try? You can find chia seeds at our local farmer’s markets (Fridays in Sayulita and Sundays in La Cruz de Huanacaxtle), as well as in the bulk section of the Mega grocery store in Bucerias. How to use them? Soak chia seeds in water for at least 15 minutes. Chia seeds on their own don’t taste like much but I highly recommend adding them to smoothies, soups, cereals and more. Check out my recipe for a chia seed energy drink here.